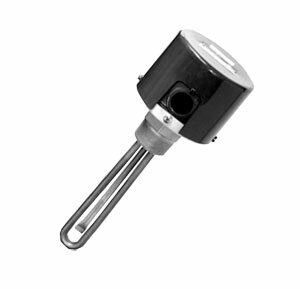 The MT-1 series immersion heater is ideally suited for clean water requirements. Models are available with a general purpose terminal enclosure1 or a rugged moisture resistant explosion resistant terminal enclosure. Please Note: This immersion heater should be used with an approved temperature control device to assure safe operation. See Section P for our complete selection of process controllers. /* Designate voltage, insert 120 for 120 VAC or 240 for 240 VAC. Higher wattages available - contact OMEGALUX. 1. Heaters with General Purpose and Moisture Resistant Enclosures are UL Listed and CSA Certified. 2. Heaters with Explosion Resistant Enclosures are CSA NRTL/C certified and are not intended for use in hazardous areas.